Climate action is a mission that European countries can only solve by working together – and the second networking conference of the European Climate Initiative (EUKI) brought together more than 120 climate actors from 16 countries to this end. The 2nd EUKI Networking Conference “Strengthening Climate Cooperation within the European Union. 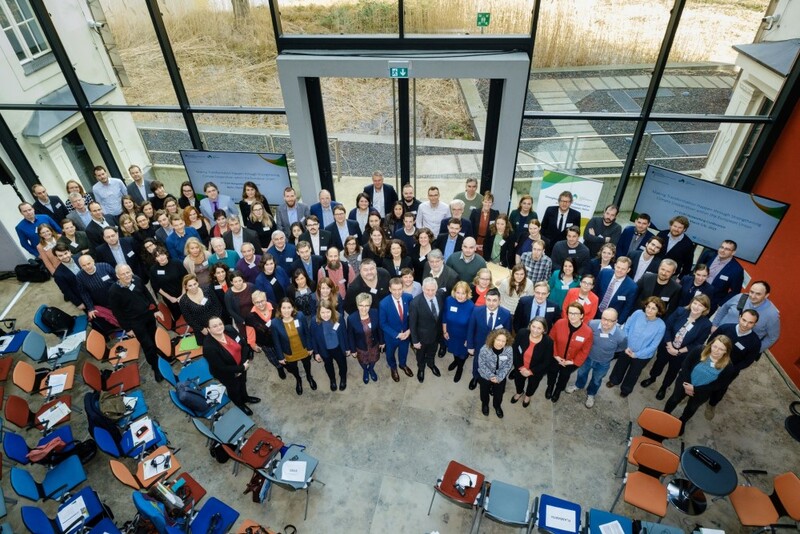 Transformation and New Ideas for EU Climate Cooperation” took place on 5 and 6 March 2019 at the GIZ Representation Berlin. For two days, the participants discussed specific approaches and solutions to climate change, which is one of the most pressing problems of our time. Numerous workshops and thematic working groups invited participants to share their ideas and experiences. Participants from eight different thematic areas and different regional contexts were encouraged to think about innovative ideas on climate action and subsequently presented their project work. Mrs Christia Alexandrou represented the Business4Climate+ project consortium in the conference, having the opportunity to present the project’s outputs and results to other participants.